Basic operator training, which includes learning how to start up, operate, clean, and maintain your centrifuge equipment, forms the foundation of our consulting services. From there, we cover topics like basic centrifuge principles, valve adjustments, manual usage, proper documentation, and process optimization. Consulting services are a way to optimize process efficiency and increase employee safety. They're a popular option when additional machines are added to a facility or when new employees are hired. Our consultants provide on-site training and consulting tailored to your specific needs, equipment, and industry. Employee turnover is a natural part of any industry. Some of our customers have been in business for 35 or 45 years, and when senior staff retires, new employees enter the industry. Those new employees need to learn how a separator works, what function it serves within the plant, how to operate the machine, and how to troubleshoot issues. Centrifuges require routine maintenance in order to function properly. The industry standard is to provide top-end service every six months and a full rebuild once per year, but your equipment may require maintenance more or less often, depending on your on flow rate. Maintenance requirements go by how much material is processed by the machine. Learning your facility's maintenance needs starts with understanding your current process. While each machine is rated at how many pounds of material it can process per hour, centrifuges are only able to process at that rate under optimal circumstances. If you're feeding a machine at its maximum flow rate and product quality is inadequate, there's some type of issue. Through consulting, your staff will be able to identify process problems and proactively act upon them. 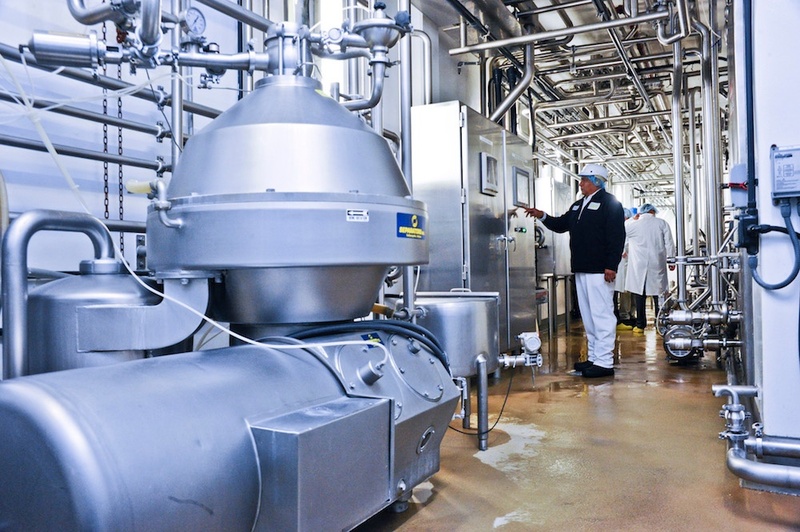 Running a centrifuge on outdated technology is detrimental to your process efficiencies. Consulting services will educate your staff on how to adjust your automation settings to optimize separation processes. How do you uncover problems with a centrifuge's function if you don't know what to look for? Consulting and training teach the warning signs to look out for with your specific machine and outlines how to troubleshoot issues when they arise. Additionally, your employees can be trained to identify when a centrifuge develops wear and tear and shows signs of needing bowl repair or service on the lower frame sections. You want your centrifuge to be operated by a knowledgeable operator who knows how to identify separation issues, provide basic maintenance, and perform valve adjustments. Operators should also know when problems can be troubleshot in-house and when a technician needs to be called. When a centrifuge is operated, automated, maintained, and serviced correctly, you can consistently optimize separation processes.